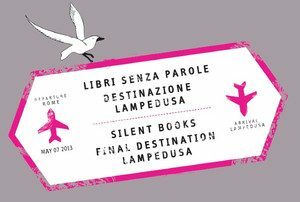 In response to the waves of refugees from Africa and the Middle East arriving in the Italian island of Lampedusa, IBBY launched the project “Silent Books, from the world to Lampedusa and back” in 2012. 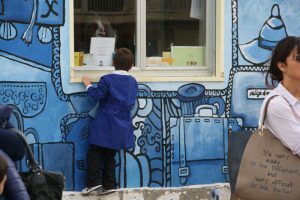 The project involved creating the first library on Lampedusa to be used by local and immigrant children. A collection of silent books (wordless picture books) was gathered together, to be understood and enjoyed by children regardless of language. These books were collected from IBBY National Sections; over one hundred books from over twenty countries. 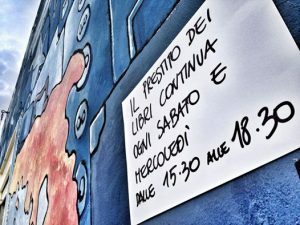 One set of books was deposited at the documentation and research archive in Rome (Palazzo della Esposizioni), a set delivered to the library in Lampedusa and a further set became a travelling exhibition. The collection has toured many countries, including Italy, Mexico, Canada, Austria, Germany, UK, New Zealand, Belgium and France. We are privileged to have been asked to host this exhibition. IBBY Sweden has produced a very useful booklet giving ideas about how to use the Silent Books with children. The booklet can be downloaded from here (PDF, 4.5MB). Please come and make the most of this exhibition: it’s only here for a short time. We have a wealth of wordless picture books in our own collection. 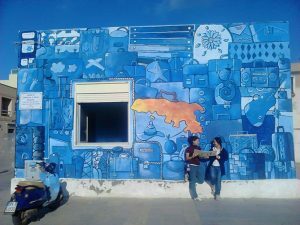 Search on our catalogue (http://curriculumcentre.cirqahosting.com/) for ‘wordless’. They are not all in the Picture Books section; some are in PSHE or MFL, for instance. For a more targeted search, we have collected some of the best into a catalogue group. Search on the catalogue for ‘group6’. Posted on October 31, 2017 by Mandy Williams. This entry was posted in Book news and events and tagged IBBY, Multicultural, Wordless. Bookmark the permalink.